For those wanting a sticky mount for their AutoCam dash cam we now have a new mount that sticks permanently on to your windscreen using extremely strong double sided 3M tape. 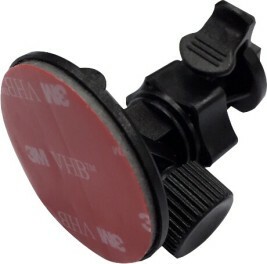 The new mount is very small and has a low profile, but is extremely strong and will not come off unless you remove it. The standard mount is a suction cup mount that comes with the camera, the new sticky mount is an optional extra that some drivers or fleets prefer. It has a high quality, compact and lightweight design and uses the best quality stick mount available (made of hard strong plastic with premium 3M tape). Note – This mount is not suitable for AutoCam Dual HD. This camera has a strong specific mount supplied.